Belle and the Beast just don't connect like they once did. Over the past 25-plus years, it's likely that I've watched Disney's animated Beauty and the Beast somewhere in the neighborhood of 75 times. There has been at least one common element to every one of those viewings: Without fail, the moment the first piano notes of the title song begin, my eyes fill with tears. The ballroom dance between Belle and the Beast, accompanied by Angela Lansbury's performance of a tale as old as time, ranks among the greatest emotional achievements in the history of cinema. I'm getting a little misty just sitting here writing about it. The new, mostly live-action adaptation of Beauty and the Beast includes an analogous scene — and I'd be lying if I didn't admit that this one scene is 90 percent of the reason this new movie pissed me off. Because somewhere along the line, Disney and this creative team had a choice to make: Either they could take a chance on doing something new and inventive with the material (the way Pete's Dragon did last year), or they could cling to nostalgia for a beloved classic that they couldn't possibly improve upon. Instead, they did both, which effectively means they succeeded at neither. There's certainly no radical shift to the basic plot, which once again finds bookish Belle (Emma Watson) living in a quiet French village where every day is like the one before. Familiar songs guide us through her journey to rescue her father (Kevin Kline) from the castle of the prince who has been turned into a monster (Dan Stevens) and whose staff was transformed into crockery and knickknacks and furniture and so forth. Mucking up the need for Belle and the Beast to fall in love before his 21st birthday, lest the curse last forever, is the egotistical Gaston (Luke Evans) and his manservant LeFou (Josh Gad). 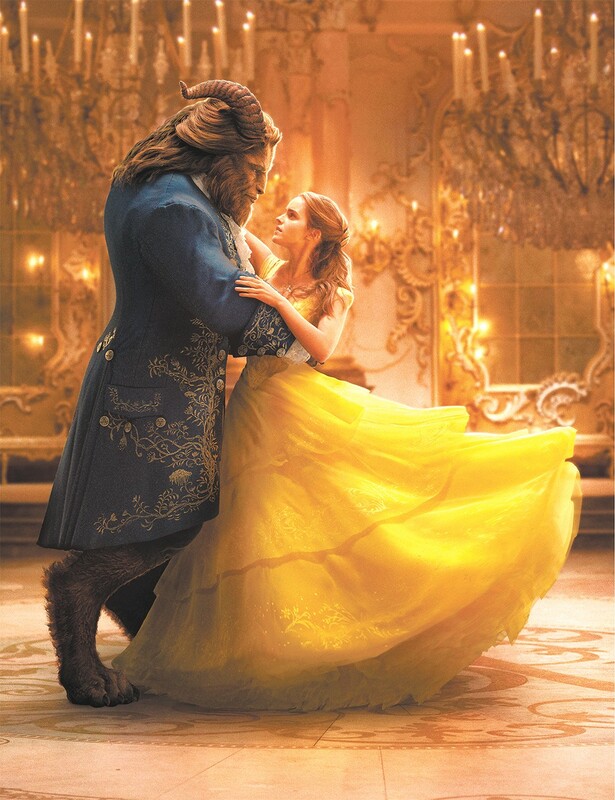 Director Bill Condon (Dreamgirls) and screenwriters Evan Spiliotopoulos (numerous direct-to-video Disney sequels) and Stephen Chbosky (The Perks of Being a Wallflower) do make an effort at giving this Beauty and the Beast a significantly different tone. Part of that shift involves emphasizing more of the backstory of both main characters and how they were shaped by losing their mothers, which at least erases the weird dynamic from the original movie that saw the prince cursed for being too shallow and selfish when he was only 11 years old. This more melancholy sensibility makes the casting of Watson slightly more understandable, but her introspective intelligence still undercuts the idea that the vivacious, boundlessly adventurous Belle brings the Beast out of his shell. Instead, they're more like two vaguely depressed souls who might kind of "get" one another. That serious-minded approach — mixed with the considerably creepier quality of Mrs. Potts (Emma Thompson), Lumière (Ewan McGregor), Cogsworth (Ian McKellen) and company in CGI form — could have been an interesting, risky way to break free from the classic source. It might have been possible to think of it more like a film adaptation of the Broadway musical, rather than a live-action version of the animated film, although it's weird that the stage version's new songs are all ditched in favor of three brand-new (and not at all memorable) Alan Menken/Tim Rice compositions. Beauty and the Beast, Beauty and the Beast 3D, Beauty and the Beast: An IMAX 3D Experience and Beauty and the Beast are not showing in any theaters in the area. Carnage, Contraband, The Iron Lady and film events around town.